This entry was posted in news and tagged Facebook Instagram social networking Twitter YouTube on October 24, 2016 by James Day. 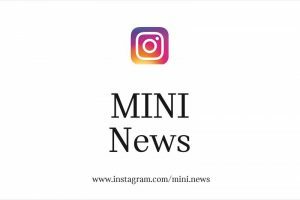 In conjunction with the premiere of the new MINI Countryman, MINI is launching an additional channel on the social media platform Instagram. At www.instagram.com/mini.news brand enthusiasts can find out about everything that is happening at MINI. Another new feature at MINI: introducing new digital product information, which no longer separates text, photos and videos, but combines them to form a harmonious whole. Munich. The MINI brand is expanding both its model range as well as the range of channels on which the British premium car manufacturer communicates with the public. Parallel to the publication of the first specifications and facts, images and videos on the new MINI Countryman, a new Instagram channel is also being launched. At www.instagram.com/mini.news MINI global media communication will be posting the latest news. The open account on the social media platform will feature amazing pictures, exciting videos and information about models, events, design, lifestyle, art, sports and a great deal more. Subscribers to the new Instagram channel will be able to experience MINI from different perspectives, close-up and highly up-to-date. The lively communication style on Instagram is a result of the fast dissemination of things worth seeing and the immediate response by the public. The social media platform founded in 2010 has more than 500 million users. At the same time MINI is continuing to digitalise the brand by employing a new form of product press communication on its traditional channel, the BMW Group PressClubhttps://www.press.bmwgroup.com. Text, photos and videos used to be presented separately. Now they are coming together. Spoken text and visual presentations are blended to form a whole which makes it considerably easier for the user to understand and picture what is being explained. For example if the topic of design is being discussed, exactly the right pictures appear in context. If the light technology or innovative controls of a new model are being described in text form, an explanatory photo or video helps visualise the topic. “A brand like MINI, which establishes trends and innovative strategies like no other, keeps setting standards time and again. By communicating digitally we are supporting the work of the media and are offering additional contents for online journalists oriented towards fast reporting,” says Alexander Bilgeri, responsible for overall product, technology and sports communication within BMW Group Corporate Communications. This entry was posted in community news and tagged Facebook Google+ social networking on December 14, 2012 by James Day. Facebook | John Cooper Works – For fans of the MINI JCW models and accessories. Facebook | MINI Cooper Cabrio Owners – For owners of the R52 and R57 MINI Convertible. Facebook | MINI Countryman Owners – For owners of the R60 MINI Countryman. Facebook | MINI Coupé Owners – For owners of the R58 MINI Coupe. Google+ Community – MINI – Unofficial, tagline is “All things MINI and Mini!”. Google+ Community – MINI – Unofficial, tagline is “It’s a MINI adventure…”. We have a full list of official and unofficial MINI sites on all the major social networks. This entry was posted in community news special editions and tagged apps Facebook MINI JCW GP videos on August 6, 2012 by James Day. This entry was posted in news and tagged Facebook MINI USA Olympics on July 22, 2012 by James Day. As we saw on MINI Takes the State 2012, MINI USA is a partner with USA Olympics and USA Paralympics. The theme is “WIN SMALL” and MINI USA released a video and Facebook app in support of it. Small is feisty. Often underestimated, but rarely intimidated. Small tries harder, because it has to. So small’s victories are always sweeter. That’s why we’re celebrating those who dream big – no matter their size. To share your own Small-Beats-the-Odds story, visit us on Facebook. Now get out there and WIN SMALL. You can use the app to upload your own story or video of winning despite the odds. Or just download the the flag of cars images. Visit the WIN SMALL Facebook app. This entry was posted in news and tagged Facebook The MINI International on June 23, 2012 by James Day. Now that MINI has made the MINI Clubvan official for production. MINI has released the MINI Clubvan Designer Facebook app. The app within Facebook lets you design the side graphics on a Clubvan. You can even submit your design to The MINI International and have it appear in the magazine. See the Library of Motoring bookmobile below. Visit the MINI Clubvan Designer on Facebook. This entry was posted in community news and tagged Facebook social networking on April 25, 2012 by James Day. The network of MINI drivers and fans is vast, but MINI Mate picks out the gems for you. We’ll find you the MINIacs you share the most interests with – you just worry about kickstarting that beautiful friendship. The app lets you set up a profile including multiples MINIs as well as importing your favorites from your Facebook profile. You can choose the languages you speak and the MINI events you have attended. MINI Mate will then suggest friends or let you search for them. Once MINI Mate reaches 500 MINI mates, they will give away a prize of a MINI United 2012 merchandise package. Sign in to Facebook and add the MINI Mate app. This entry was posted in reference and tagged Facebook MySpace social networking Twitter YouTube on February 18, 2011 by James Day. MINI has always stood for fun, community, and technology, so it’s not surprising that MINI embraced the Internet and social networking. Not just for marketing, but to connect a community of MINI owners. From the start, MINI USA created an Owners’ Lounge on its website to give owners a place to discuss and show off their MINIs. They have created official blogs and event websites. MINI has also taken advantage of popular social networking sites to reach out to MINI owners, potential owners, and fans. MINI Owners’ Lounge – Official MINI USA website. Must own a MINI and set up an account (by VIN). MINI Space – Site with creative projects, competitions, events, thoughts, and ideas, by MINI. Facebook | MINI – Official MINI Facebook page. Facebook | MINI Challenge – Official Facebook page for the German MINI racing series. Facebook | MINI Countryman – Official Facebook fan page for the launch of the MINI Countryman. Facebook | MINI Motorsport – Meet fans and motorsport enthusiasts, get the latest news, and share your best pics. Facebook | MINI Space – Official Facebook page for the MINI Space website. Facebook | MINI United – Official Facebook page for MINI United. Facebook | MINI USA – Official Facebook page for MINI USA. MySpace – Hammer & Coop – MySpace site for the Hammer & Coop online episodes. Twitter @MINI – Official MINI Twitter page. Twitter @MINI United – Official Twitter page for MINI United. YouTube – MINI’s Channel – Official site for MINI video ads, announcements, premiers, and events. YouTube – MINI Motorsport’s Channel – Official site for MINI Motorsports videos and events. YouTube – MINI USA’s Channel – Official site for MINI USA video ads, announcements, premiers, and events. MINI LINK App – Official MINI USA social networking app for the Apple iPhone. This entry was posted in news and tagged Facebook on August 26, 2010 by James Day. MINI turned 51 today. The first Mini was launched to the UK public on August 26, 1959. MINI turns 51 years today! How are YOU celebrating the birthday of MINI today?! MINI designer Sir Alec Issigonis brought ‘Creative Use of Space’ into fruition with his first MINI sketches on a napkin. From yesteryear’s Austin Se7en and Morris Mini-Minor to current day MINI, MINI Convertible, MINI Clubman and MINI Countryman, we want to mark the 51st birthday of MINI by taking you down MINI memory lane with rare photos & timelines. Enjoy! See the Happy 51st Birthday MINI! photo gallery on Facebook. This entry was posted in community news and tagged Facebook MySpace social networking Twitter YouTube on March 5, 2010 by James Day. MINI United – Begun for MINI United 2009, this site is now a global news and social networking site from MINI. Facebook | MINI United – Official Facebook page for MINI United by Axel and Florian. Twitter @MINI United – Official Twitter page for MINI United by Axel and Florian.